OctoPress Installation can seem to be difficult due to inadequate detailed guides to the users who are not used with Ruby Gems. Here is a full guide for everyone. 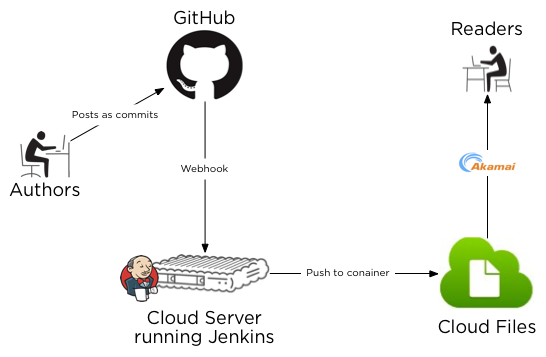 We first talked about Jekyll and OctoPress on Free Cloud Platforms here. We are assuming that the reader is using the latest version of OS X. We will suggest to use default Terminal, instead of iTerm2 with Homebrew package manager as installation of Ruby Gems demands sudo command and Homebrew has anger with sudo. Lightly said, but from our experienced view, Terminal is better to use with default tty than zsh. You need to know lot of things for OctoPress Installation as a new user, which usually creates difficulty for a new user. OctoPress Installation Steps : Why We Will Use and What Actually OctoPress is? OctoPress is not a substitute for WordPress or any blogging platform. It simply uses Ruby Gems on your local computer to generate plain HTML webpages. All the latest CSS stuffs are included in the package (like SaaS), Typographically it looks great, it loads faster, possibly the SEO will be better. As basically Jekyll was used for GitHub Pages, the default writing is in Markdown format. As basically on the webserver frontend, we are serving the HTML pages, any CDN type OpenStack Swift Storage like Rackspace Cloud Files (you are reading it right) can work as server. In other words – we are simply doing what we did a decade ago with various softwares to create webpages. However, OctoPress is more flexible and advanced. The template usage makes it suitable for using as a kind of blogging software. But practically, the usage is limited to less frequently updated websites. OctoPress is not bad – it is very much suitable to certain needs, but OctoPress is not an option to make your self hosted WordPress blog flat – there are many ways to make your existing WordPress blog converted to plain HTML, preserving the HTML structure (less harmful to SEO). This is first and last work with iTerm2+Homebrew combo, close it and open Terminal App. Octopress comes with a default .rvmrc file (in its root directory) that is configured to use Ruby 1.9.2. Since we are using newer Ruby, we need to change the commands to avoid conflicts. Unless your only work is with OctoPress, this way is used since a long time. Using rake (0.9.6) Using RedCloth (4.2.9) Using chunky_png (1.3.0) Using fast-stemmer (1.0.2) Using classifier (1.3.4) Using fssm (0.2.10) Using sass (3.2.14) Using compass (0.12.2) Using directory_watcher (1.4.1) Using haml (3.1.8) Using kramdown (0.14.2) Using liquid (2.3.0) Using maruku (0.7.1) Using posix-spawn (0.3.8) Using yajl-ruby (1.1.0) Using pygments.rb (0.3.7) Using jekyll (0.12.1) Using rack (1.5.2) Using rack-protection (1.5.2) Using rb-fsevent (0.9.4) Using rdiscount (2.0.7.3) Using rubypants (0.2.0) Using sass-globbing (1.0.0) Using tilt (1.4.1) Using sinatra (1.4.4) Using stringex (1.4.0) Using bundler (1.5.3) Your bundle is complete! Use `bundle show [gemname]` to see where a bundled gem is installed. Obviously, we will never have older stringex (1.4.0) like packages installed, so as we are executing with sudo, they will get automatically installed. You can test on your computer, it is really good; but the initial setup can be painful to many. This Article Has Been Shared 8307 Times! Cite this article as: Abhishek Ghosh, "OctoPress Installation Step by Step Guide," in The Customize Windows, February 28, 2014, April 21, 2019, https://thecustomizewindows.com/2014/02/octopress-installation-step-by-step-guide/.